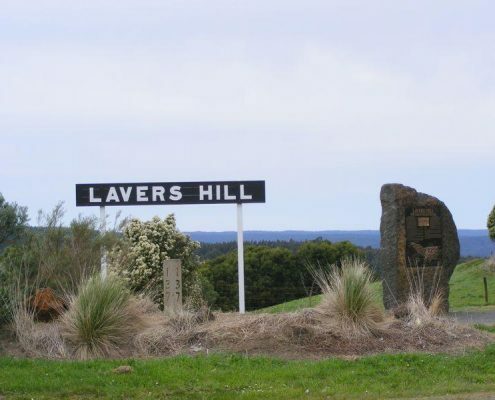 Lavers Hill is the highest point on the Great Ocean Road. 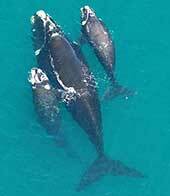 It’s located at approximately the half way mark of the Great Ocean Walk. 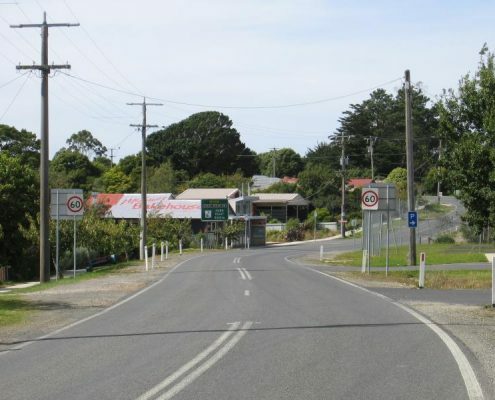 It’s only a small country town but does have a few cafes and a hotel which can boast superb meals. The Shoppee probably does the best breakfast you’ll find anywhere. 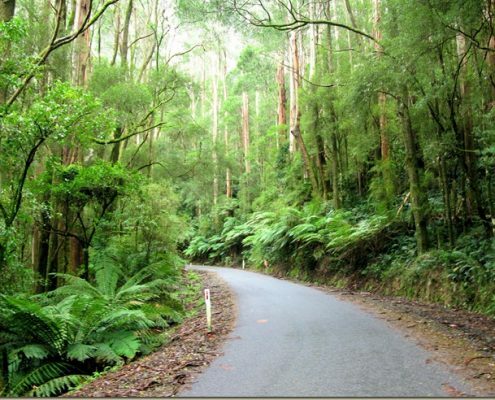 Lavers Hill is a good starting point if you are doing any of the rainforest walks in the Otways. Parkwood Cottage at Lavers Hill is exclusively for couples. The cottage is situated within the grounds of the owner’s property and as such is very private. 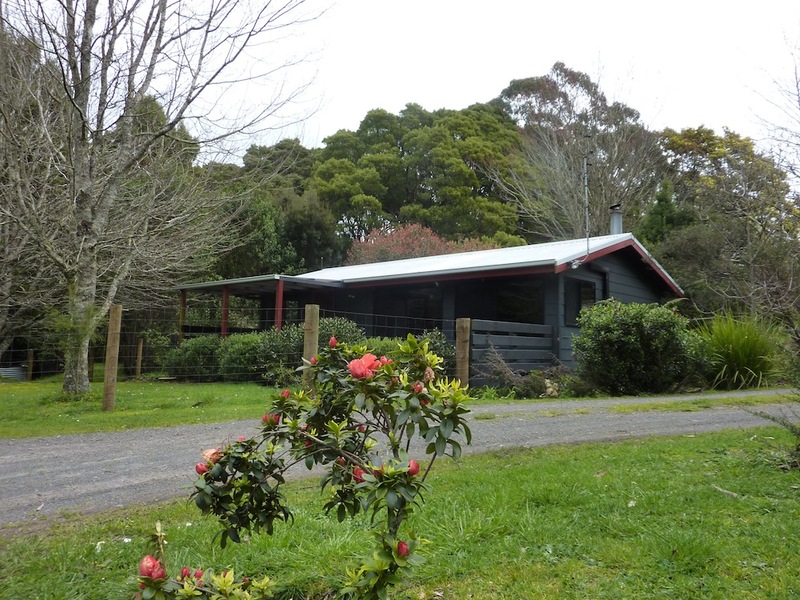 The property has its own walks and water features and loads of native parrots. 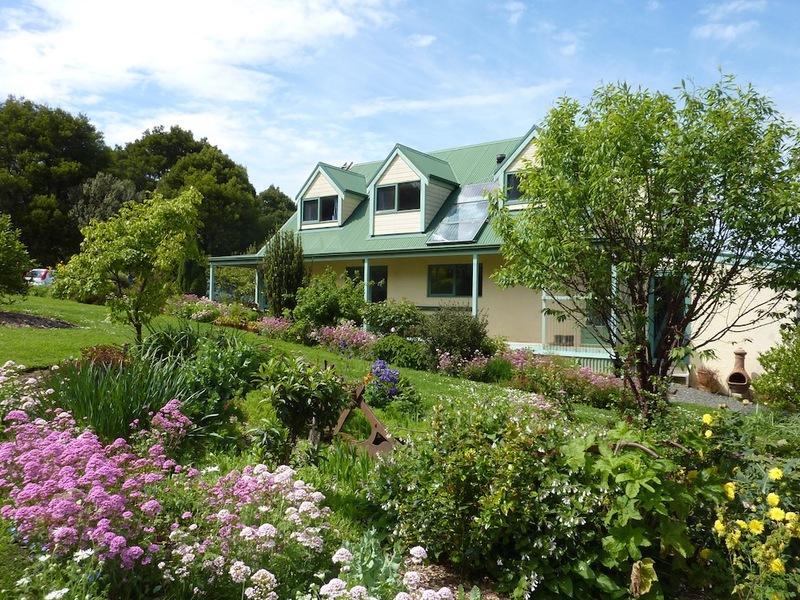 Melba Gully Garden B&B is a delightful and traditional bed and breakfast. 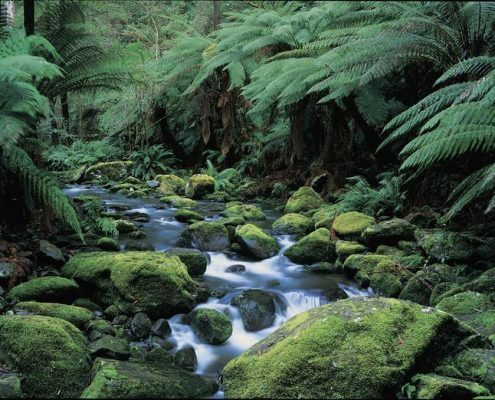 It’s located at Melba Gully which happens to be a great walk in itself, complete with glow worms of an evening. 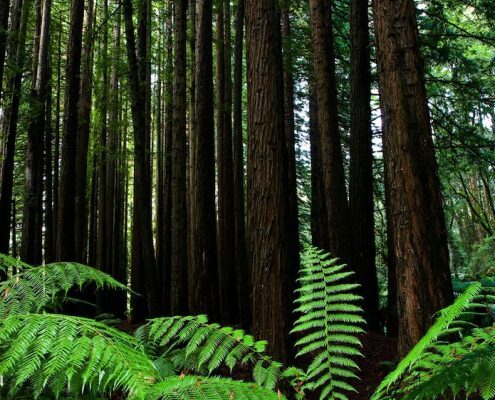 If you like gardens, you’ll love this place. 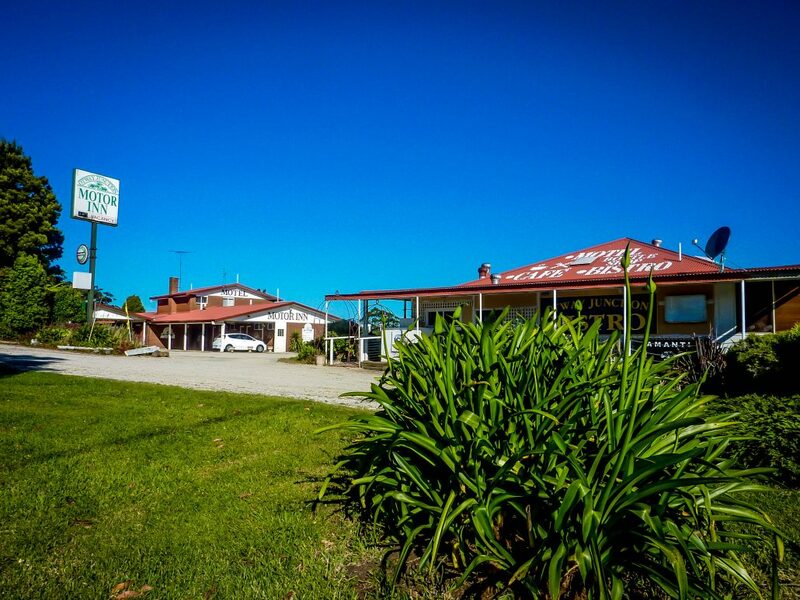 Otway Junction Motel is located at Lavers Hill – the highest point on the Great Ocean Road. The motel is positioned to take advantage of the panoramic valley & ocean views. 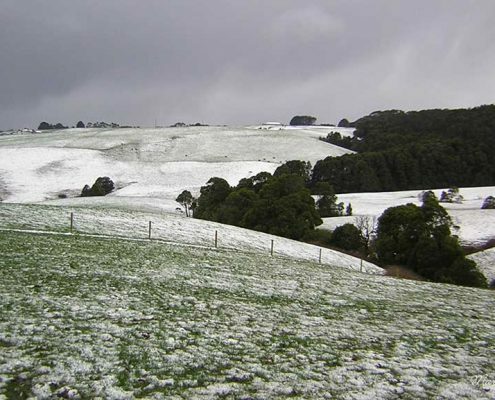 The owners proudly advise that they have the highest sea views on the Great Ocean Road. The motel accommodation is basic but the best thing is they have a restaurant right next door. Open all day, every day, you’ll find the selection of food to be both diverse and tasty. The fish is fresh & delivered to the premises by the local fisherman. All cakes & tarts are made on premises & the bar snacks are just scrumptious.